Integrative Biology, 401 Biological Laboratories, University of Texas, Austin, TX 78712, USA. 321, 05508-090 São Paulo-SP, Brazil. Universidad de Murcia, 30100 Murcia, Spain. Department of Ecology, Universidade de Brasília, 70910-900 Brasília-DF, Brazil. 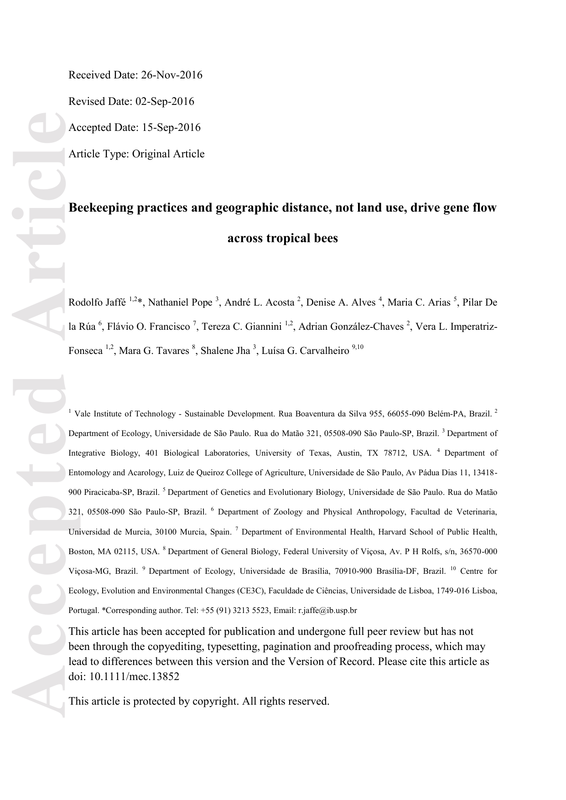 Keywords: Beekeeping, dispersal, land use, landscape genetics, pollination, stingless bees. Running title: Gene flow across tropical bees. beekeeping practices in shaping the patterns of genetic differentiation across bee species. habitats, prioritizing species showing a limited dispersal ability. populations, fragmenting them, reducing gene flow, and increasing Allee effects (Allendorf et al. restrict gene flow in individual bee species. of land use on the population dynamics of wild tropical bees remains largely unknown (Viana et al. distance in wild native bees (Zayed 2009; Zimmermann et al. 2011; Freiria et al. 2012; Suni et al. factors possibly influencing wild bee gene flow. geographic areas (above 1000 Km), a frequent practice among stingless beekeepers (Byatt et al. stingless bee genetic differentiation has never been assessed across species and biomes. Dispersal is believed to be restricted in this group of eusocial bees with perennial colonies. hence they do not establish far from each other (van Veen & Sommeijer 2000; Roubik 2006; Vit et al. dispersal ability), and thus higher genetic differentiation. stingless bees might be extremely susceptible to the human-mediated modification of natural habitats. 2011)⁠ have also been shown to influence patterns of genetic differentiation in bee populations. Finally, highways are known to facilitate mosquito dispersal across broad spatial scales (Medley et al. and transport routes (i.e. isolation by landscape resistance, or IBR), across different species. genetic distances estimated from microsatellites reflect recent gene flow processes (Allendorf et al. study populations ranged between 1 and 2600Km. number of alleles per locus. showed little variation across the studied species (see Appendix S4). created a link connecting it to the closest network node (usually within 3 Km). cover rasters, using the absolute values after subtracting 100 from every pixel (Jaffé et al. 2015a)⁠. rasters, adding the minimum elevation of each raster to all pixels to make all elevation values positive. were done using the R package raster (Hijmans 2014)⁠ and GRASS GIS. geographic distance, and is analogous to a partial Mantel test (see below). Akaike weights were done using the MuMIn package (Kamil 2014)⁠. such, there is no closed-form approximation for the standard error of the IBD slopes for each species. confidence intervals, and point estimates that are shrunk towards the overall (fixed) IBD slope. correlation among the detrended pairwise measures. out of the 17 analyzed species confidence intervals did not overlap zero (Table S1, Fig. 2A). of IBD (Table 2). Specifically, wild species showed stronger IBD than managed ones (Fig. 2B). by altitude and by roads (Table S2). importance of beekeeping practices in shaping the patterns of stingless bee genetic differentiation. Geographic distance was a key variable explaining genetic differentiation across stingless bees. substantially increase gene flow regardless of worker foraging range. accentuated IBD (Fig. 2A). This is a rare species found only in preserved Mesoamerican forests (Fig. apparent reproductive isolation between Mexico and Guatemala (May-Itzá et al. 2010)⁠. the assumed dependence of stingless bees on pristine forest patches for food and nesting (Brosi et al. 2008; Kennedy et al. 2013)⁠, and the high forest loss across all the studied biomes (Hansen et al. recent available maps, and recent land use changes are expected to be minimal (Hansen et al. 2013)⁠. species is more sensitive to altitude than other species building exposed nests (e.g. P. mulata and T.
mountains imply larger road resistances between populations). stingless bee genetic differentiation has been rarely examined (Carvalho-Zilse et al. 2009; Byatt et al. spinipes), build their nests in cavities from trees or rocky outcrops (see Appendix S4). success; and how they can be improved by enhancing pollinator-friendly habitats (Garibaldi et al. slower than agricultural demand for pollination. Current Biology, 19, 915–918. Allendorf FW, Luikart GH, Aitken SN (2012) Conservation and the genetics of populations. Apidae, Meliponina). Thesis Thesis. Universidade de São Paulo. ecological implications. Brazilian Journal of Biology, 64, 563–568. Methods, Applications. John Wiley & Sons, Hoboken, NJ. Brazil. 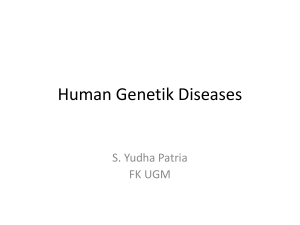 Genetics and Molecular Biology, 33, 781–784. Camargo, 1980) e Partamona helleri (Fiese, 1900)(Hymenoptera, Apidae, Meliponini). 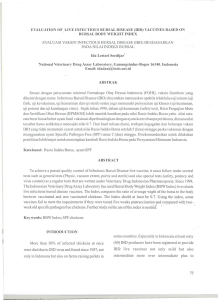 Journal Article Thesis. Universidade de São Paulo. from Neotropical Atlantic rainforest. Insectes Sociaux, 57, 413–419. on bee communities in tropical countryside. Journal of Applied Ecology, 45, 773–783. stingless bee (Apidae: Meliponini) composition and richness in Rondônia, Brazil. Model Selection. Sociological methods & research, 33, 261–304. anthropogenic movement of social bees. Insectes Sociaux, published, 1–10. populacionais em Melipona scutellaris (Apidae, Meliponini). Magistra, 18, 213–220. two bumblebee species. Oikos, 121, 734–742. biological, and environmental statistics, 7, 361–372. European honeybee subspecies. Molecular Ecology, 23, 2353–2361. geographic distribution in the Atlantic Rainforest. Journal of Heredity, 105, 477–484. other measures of statistical accuracy. Statistical science, 54–75. honeybee (Apis mellifera jemenitica). Population Ecology, 53, 421–427. microssatélites. Thesis Thesis. Universidade de São Paulo, Riberão Preto. de abelhas da Mata Atlântica. Thesis Thesis. Universidade de São Paulo, São Paulo. Freckleton RP (2002) On the misuse of residuals in ecology: Regression of residuals vs.
multiple regression. Journal of Animal Ecology, 71, 542–545. remnants in southern and southeastern Brazil. Apidologie, 43, 392–402. of crops regardless of honey bee abundance. Science, 339, 1608–1611. reported interactions. Apidologie, 46, 209–223. mitocondrial, microssatélites e morfometria geométrica das asas. Thesis Thesis. Goudet J (2001) FSTAT, a program to estimate and test gene diversities and fixation indices. relationship to body size. Oecologia, 153, 589–596. Hansen MC, Potapov P V, Moore R et al. (2013) High-Resolution Global Maps of 21stCentury Forest Cover Change. Science, 342, 850–853. honey bees via admixture. Molecular Ecology, 21, 4414–4421. Hijmans RJ (2014) raster: Geographic data analysis and modeling. Jaffé R, Castilla A, Pope N et al. (2015a) Landscape genetics of a tropical rescue pollinator. African honeybees (Apis mellifera scutellata). Molecular Ecology, 18, 1511–1522. Reveals How to Optimize Stingless Beekeeping. PLoS ONE, 10, e0121157. relic or reference standard for landscape genetics? Ecography, 33, 315–320. bee gene flow. Molecular Ecology, 24, 993–1006. Kamil B (2014) MuMIn: Multi-model inference. spread their genes into the wild. Conservation Genetics, 12, 187–192. current threats to European honeybees. Apidologie, 40, 263–284. Comments on Harpur et al. (2012). Molecular Ecology, 22, 3208–3210. tropical nature. Trends in Ecology & Evolution, 29, 107–116. existence of a two species complex. Conservation Genetics, 11, 2079–2084. connectivity in ecology, evolution, and conservation. Ecology, 89, 2712–2724. flow across the range of an invasive mosquito. Molecular Ecology, 24, 284–295. Meliponini) por meio de RFLP do DNA mitocondrial e microssatélites. Thesis Thesis. Amazônia/Universidade Federal do Amazonas, Manaus. environments. Insect Conservation and Diversity, 5, 433–443. Atlantic Forest: How much is left, and how is the remaining forest distributed? Implications for conservation. Biological Conservation, 142, 1141–1153. pollination services: are there general patterns? Ecology Letters, 11, 499–515. Roubik DW (2006) Stingless bee nesting biology. Apidologie, 37, 124–143. populations of the stingless bee Tetragonisca angustula. Genetica, in press. applied pollination: practice and perspectives. Apidologie, 37, 293–315. species suggests high dispersal over a fragmented landscape. Biotropica, 46, 202–209. populations. Genetics and Molecular Biology, 36, 111–117. stingless bees. Insectes Sociaux, 51, 1–11. pollinator systems. Current Opinion in Insect Science, 5, 44–49. (Apidae, Meliponini). Insectes Sociaux, 47, 70–75. effects on pollinators and pollination services? Journal of Pollination Ecology, 7. 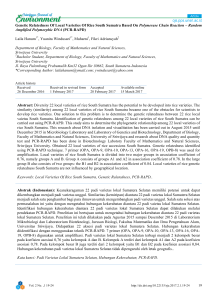 Vit P, Pedro SRM, Roubik DW (2013) Pot-Honey: A legacy of stingless bees. Springer. Warton DI, Hui FKC (2011) The arcsine is asinine: the analysis of proportions in ecology. queen parasitism in a highly eusocial bee. 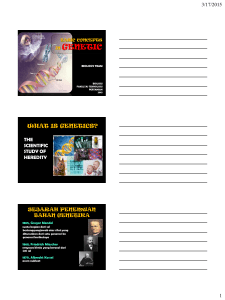 Biology Letters, 7, 173–176. Zayed A (2009) Bee genetics and conservation. Apidologie, 40, 237–262. - Forest cover data: University of Maryland (http://earthenginepartners.appspot.com/science-2013global-forest/download.html). - Elevation and climate data: WorldClim (http://www.worldclim.org/current). - R implementation of the MLPE correlation structure: GitHub (https://github.com/nspope/corMLPE). Additional supporting information may be found in the online version of this article. Table S1: Summary statistics for the isolation by distance slopes per species. Table S2: Summary statistics for the isolation by resistance slopes per species. Figure S1: Isolation by geographic distance (IBD) across 17 stingless bee species. Figure S3: Isolation by river and road resistance across 17 stingless bee species. Appendix S1: Measurement of intertegular distance. Appendix S2: Model of isolation by distance. Appendix S3: Detecting isolation by resistance under collinearity. Data_Script.zip: Full dataset and R scripts (for review only). occurrence area (OA). References containing the original data are also provided. 0.75 5.73 510.00 1.75 3.53x105 (Quezada-Euán et al. hosts two large stingless bee apiaries (meliponaries). These meliponaries contain many managed colonies of F.
managed population, affected by human-mediated dispersal. overlap zero are highlighted by stars (*). Figure 2: A: Isolation by distance (IBD) across wild (blue) and managed (red) stingless bee species. mean coefficients (solid dots), 90% (thicker lines) and 95% (thinner lines) Confidence Intervals. are shown in addition to bootstrap 90% (thicker lines) and 95% (thinner lines) Confidence Intervals.